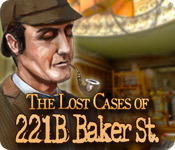 PC Games > Hidden Object Games > The Lost Cases of 221B Baker St. The Lost Cases of 221B Baker St. is rated 3.9 out of 5 by 9. Rated 5 out of 5 by Lioness901 from This game is excellent my dear Watson The dialogue is cute and funny. The scenes are hard without it being too hard. I love all the different mysteries to solve. I love that this keeps to the character of Sherlock Holmes. My only complaint is the chemistry game at the end I find it a bit of a letdown. Really the chemistry game at the end is very boring compared to all the fun mysteries. Still worth playing and worth buying. Rated 5 out of 5 by coffeyfan77 from Better Than The First Lost Files was a good entry for Holmes fans, but this sequel allows you to tackle more cases with the world's most famous consulting detective while improving on some of the first game's shortcomings. As before, you'll play through cases which consist of you and Watson collecting evidence and performing various minigames to collect evidence and implicate suspects. Once you've collected enough information, you'll head back to Baker Street to play a matching and memory game which reveals the culprit. This process didn't change much from the original, although I'm pleased to report that the scenes look better and the size of the objects has increased. The scope of this sequel is better, with more characters from Doyle's stories and even a case tackled solo by Dr. Watson that I quite enjoyed. The reward for completing them all is a laboratory game, a bit more challenging than last time. You also unlock a few Sherlock stories as you play, a nice touch. Overall, this is an improvement on the first game and a chance to play some original Holmes stories. Voice acting is very good again, and the game is a decent length. Well done and very worthy of a play. Rated 5 out of 5 by p2668 from I really enjoyed this game.... Lots of puzzles I love puzzles, so this is my type of game. Had a bit of problem with the screen resolution, but worked it out on the property settings. Lots to do. This is a buy for me, and think it has a lot of replay value. Rated 5 out of 5 by catbag8717 from Amazing Game!!! One Word to sum up this game: Brilliant. I love Hidden Object Games and this is my favourite one so far. Good Parts: Tricky placing of objects The suspect minigame Spot the differemces Able to skip the hard minigames Ok Parts: Dialogue Bad Parts: My free trial ran out Conclusion: Most definitely reccomend this game! It's one of the best games ever. Rated 4 out of 5 by mcs123r from 221B Baker St. A great non-violent game. There are 16 storylines and 4 bonus chapters. The HOs are fun to complete with a few puzzels thrown in. The game plays about the same on each storyline, but, the nice thing is the diffent storylines. You have to locate clues to each mystery then eliminate each suspect. Not very challenging, but, enjoyable. Rated 4 out of 5 by bunnydog from Variety of puzzles There are 16 cases for Sherlock and Watson to solve as well as four bonus stories to read. 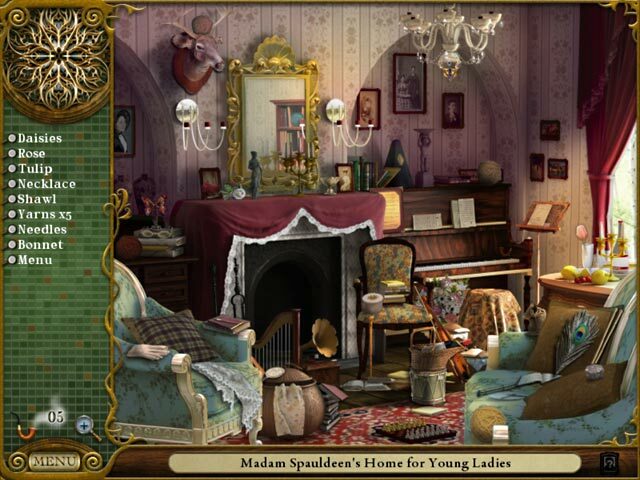 Each case has a hidden object scene, a spot the difference game and a puzzle. There are a variety of puzzles such as sliders, putting messages back together, connecting pipes and others. They varied in difficulty and there is a skip button. At the end of each case you need to sort the suspects into categories and then eliminate them. The graphics are a little grainy in places. Although the hidden objects are small, most are easily found. There is a hint button and you can collect more hints by finding Sherlock's pipe in each case. The items that need to be found are period related. Voice acting is appropriate to the characters. I like this game because you can finish each case stands alone so it is great when you only have short periods of time available for game play. 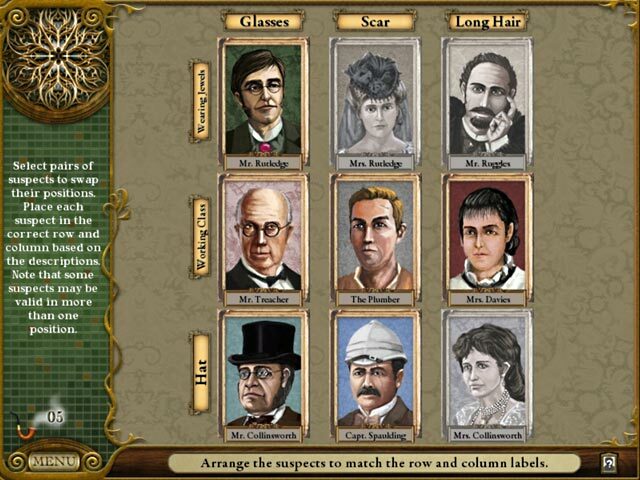 Rated 3 out of 5 by game_happy from TO ME, SAME CASES AS THE LOST CASES OF SHERLOCK HOLMES In the Lost Cases of 221B Baker St., there were repeat stories from the previous game, a huge disappointment. Thought I was getting all NEW cases. In the first game, you had to collect Holmes' hat. In the 221B, you have to collect his pipe. Same old in many ways. Rated 3 out of 5 by rosekaufmann from Another Sherlock Masterpiece If you liked the first Lost Cases, you’ll like this follow-up. Improvements are the English voice overs and animation. 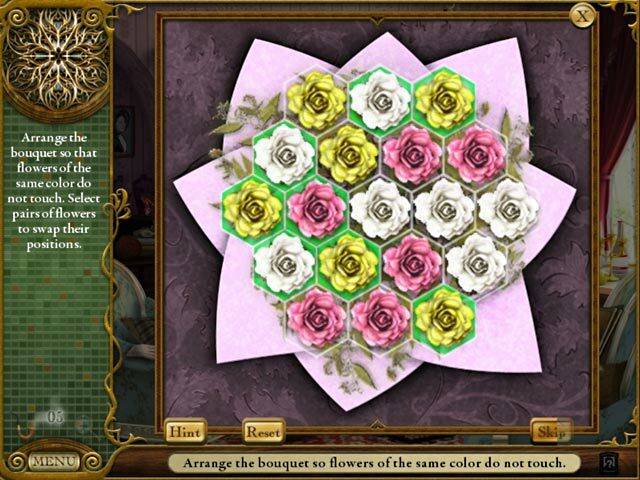 Very wide variety of mildly challenging mini-games and puzzles, sometimes they are within the HOS if it contains a clue. There are 16 cases and the 4 mini-novelettes which are an especially pleasant addition. Graphics reflect the Victorian age and are very well done. To solve who did it, the suspects are categorized and then eliminated one-by-one until only one suspect remains. And of course, you feel like you should have guessed who did it before you reach this stage, just as if you read the books. The developers are to be commended for bringing the same suspense from the books into the game. Good for beginners and for more experienced gamers wanting a relaxing day or two. If I had less experience, I would have given it 3 stars for challenge. As Dr. Watson says: Cheerio. Rated 1 out of 5 by Fadcat from Pointless Game When doing the hidden objects scenes, if you didn't find something quick enough it gives you the answer. This was frustrating and made the game pointless. I didn't play past the first scene as there was no challenge.